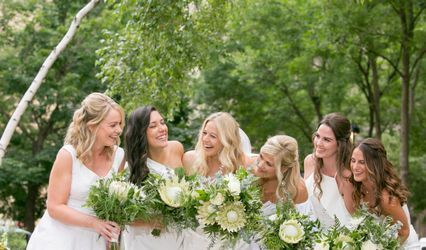 Munster Rose is a Minneapolis & St. Paul floral design studio filling brides' big days with wedding flowers that go "whoah." 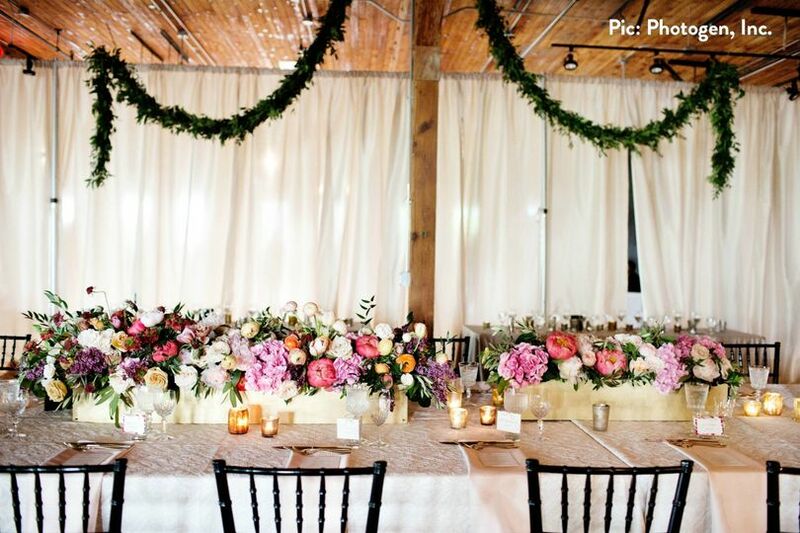 We specialize in uncommon bridal bouquets, spectacular centerpieces, and massive floral installations. 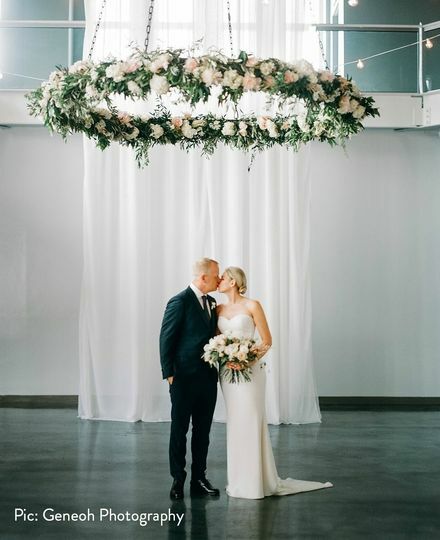 Our wedding flowers were everything I'd hoped for and more. Absolutely beautiful and unique. 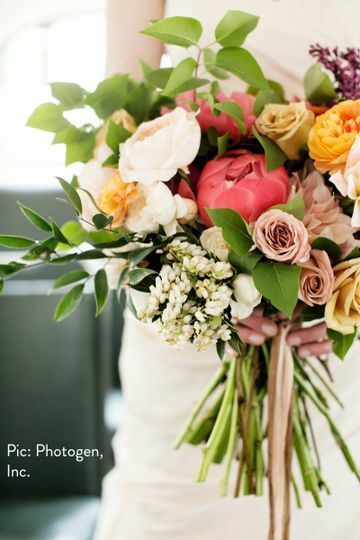 Jackie is remarkably talented and patient with a bride who knew nothing about flowers. I loved our flowers but wish they were more affordable. Jackie at Munster Rose was quite a find! 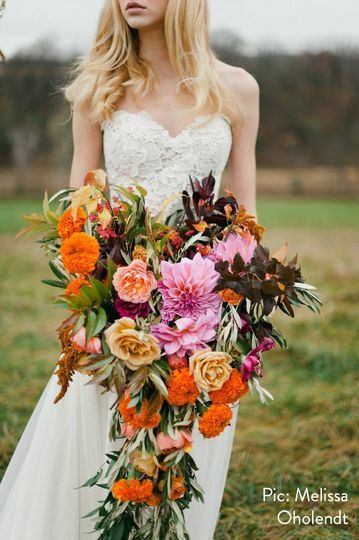 She is not your typical wedding florist. She sat down with us and helped us fine tune our vision. She has such a gift with being creative but working within your budget. She also worked wonderfully with our wedding planner! I know nothing about flowers. 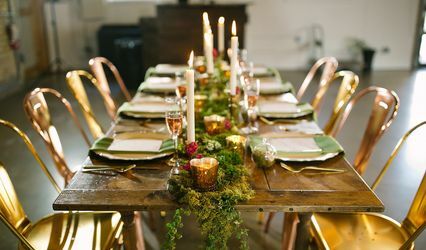 I had no clue where to start when it came to picking a florist for my wedding, especially since I really didn't know what I was looking for. Through a recommendation, I found Jackie at Munster Rose, and I feel incredibly lucky that I did. Jackie did a PHENOMENAL job for my wedding. I cannot tell you how many people told me--and are still telling me--how gorgeous my flowers were. Jackie took my all-over-the-place adjectives like springy, vintage, wildflowery, colorful, and textured that I wanted in my flowers...combined them with other aspects from my wedding like the outdoor/indoor venue, different colored bridesmaids dresses, growlers from my husbands brewery, etc....AND a ton of random pictures of (mostly her) work that had been done previously....and created an exceptional outcome. It was almost like she read my mind, but even I would have never been able to dream up flowers so beautiful. Jackie is absolutely the best value in town. 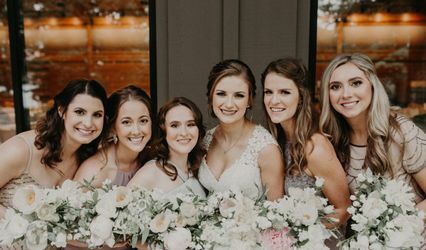 She and her team also did an AMAZING job setting up and also helped my bridesmaids who were struggling to put other things together. Overall, exceptional work, exceptional people, and I would highly HIGHLY recommend them.